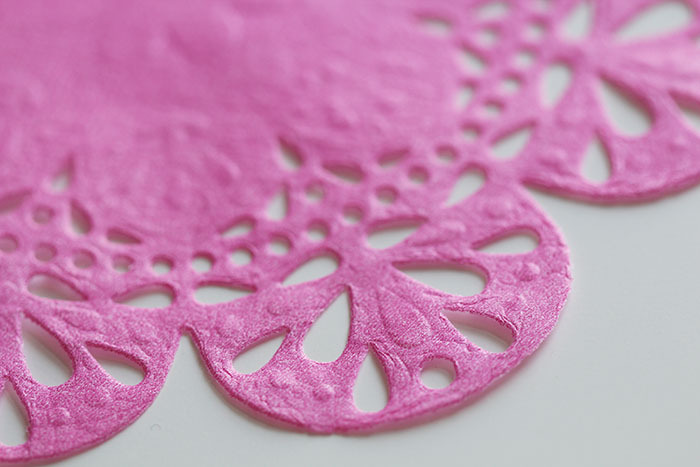 Bright pink tissue paper doilies are now available at Things That Shine! 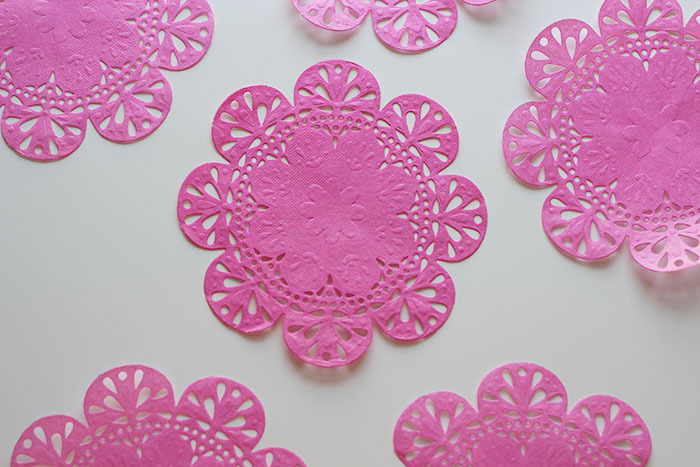 These hot pink doilies are a lovely weight of tissue -- and have a lace pattern cut around the edges in addition to a debossing. Great textures. 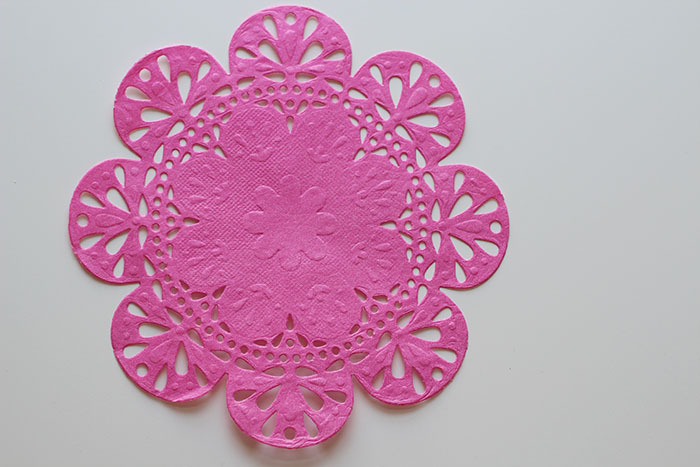 Each doily is approximately 6" across. 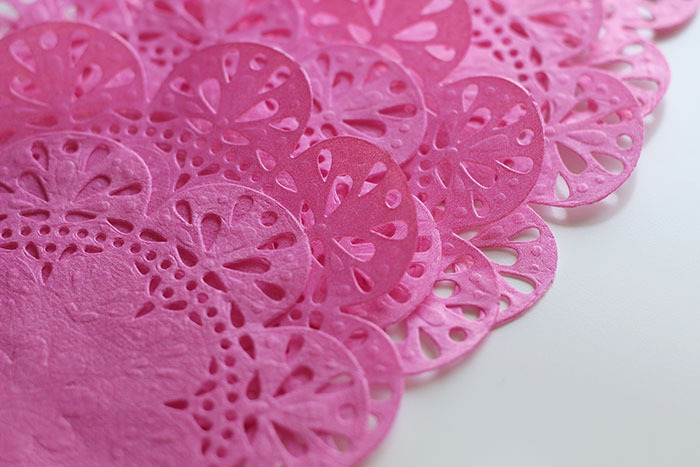 These are awesome on layouts, for gift-wrap, or party decor! 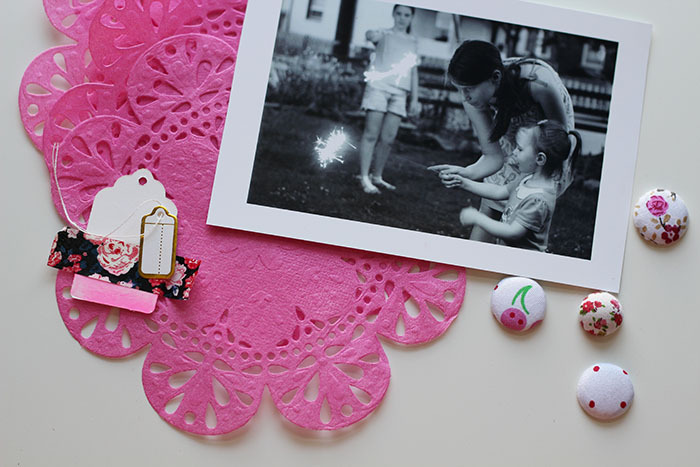 Sew into a garland, or spread out on your table for an extra-sweet touch!